Inspire Education is a growing multi academy trust with presently four academy members. 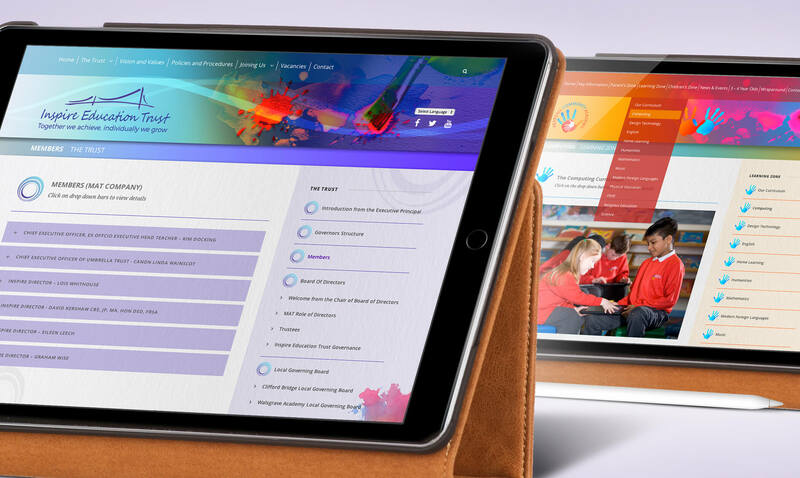 Our project brief: To produce new branding for the Trust and to eventually redesign all member academy websites, adopting the new corporate style. 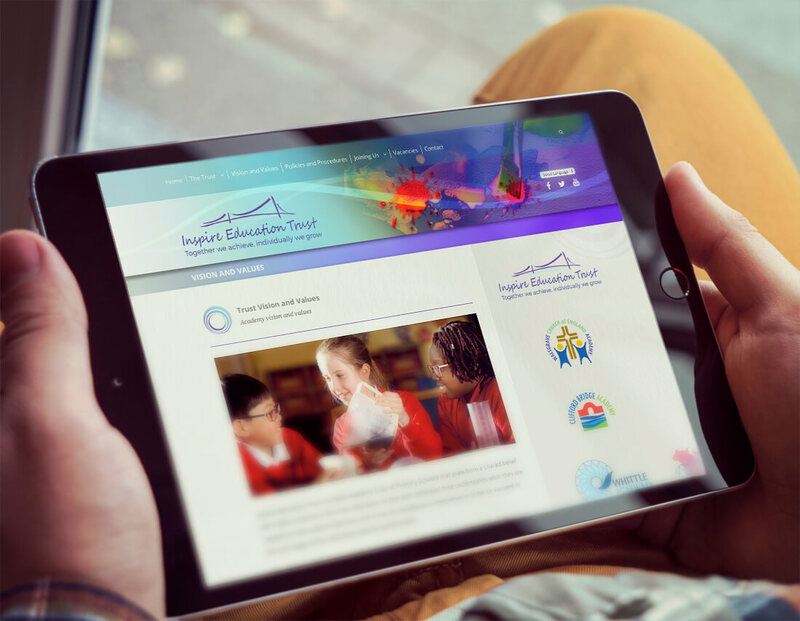 This is demonstrated below showing the cohesion between the overarching Inspire Education Trust site and the Hearsall Academy website, one of the trust’s member academies.